Mail service pharmacy can help deliver savings, improved adherence, and greater convenience and member satisfaction. Given the potential savings and convenience for people using maintenance medications, home delivery of 90-day supplies seems like it should be a natural fit for Medicare beneficiaries. However, use of mail service pharmacy among Medicare beneficiaries lags behind that of other demographic groups. To understand why, CVS Health conducted focus groups with SilverScript members aged 59 to 81. Participants included current and past mail pharmacy users, and those who had never used mail service pharmacy. Most participants filled two or more prescriptions, and the pharmacies they used included retail chains, independents, supermarkets, and big box stores, as well as CVS Caremark Mail Service Pharmacy. Whether participants were filling prescriptions at a retail store or through our mail service pharmacy, they valued convenience and consistency, although how they interpreted those attributes differed. Beneficiaries who used retail pharmacies said they did so because the stores were close to their home or within walking distance. They picked up prescriptions while shopping or doing other routine errands. Mail pharmacy users liked not having to leave the house, go to the store or make repeated trips. They indicated that auto refills and renewals, as well as mail, text and phone notifications, made it easy to ensure their prescription supply. Mail service pharmacy can help deliver lower cost, improved adherence, more convenience, and greater member satisfaction. Retail users’ perception was that using a retail pharmacy meant “less margin for error” and easy resolution of any issues. Mail pharmacy users cited auto refills and renewals, consistent reminder communications and routine delivery timing as evidence of consistency. They also said they felt confident about product availability, meaning that the mail service pharmacy would not run out of product or not have it in stock. A majority of retail users surveyed indicated they are comfortable with their routine and satisfied with the service. They said they had little reason to consider options. But satisfaction with their current choice was not the sole obstacle to trying mail. Retail users in our focus groups revealed a range of concerns about trying mail service pharmacy, many of which were tied to lack of awareness and/or misunderstanding. 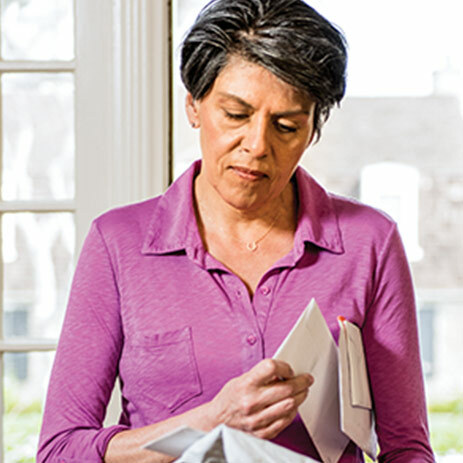 Uncertainty about costs: Some beneficiaries were unaware that they may be able to save money on prescriptions by using mail service pharmacy. Lack of information: Retail users wanted to know how mail service pharmacy “works,” what they have to do to get started, and how they could be sure they wouldn’t run out of medication before receiving a refill. Concerns about security and safety: Some expressed concern that their prescriptions would be stolen or not delivered on time. Others were concerned about privacy. Questions about drug quality and efficacy: Some participants had doubts whether drugs from the mail service pharmacy would be the same as those from their retail pharmacy. Others were concerned that their medications could be negatively affected by extreme weather conditions. Issues about loss of control: Retail users thought of “in person” fills as giving them greater control. 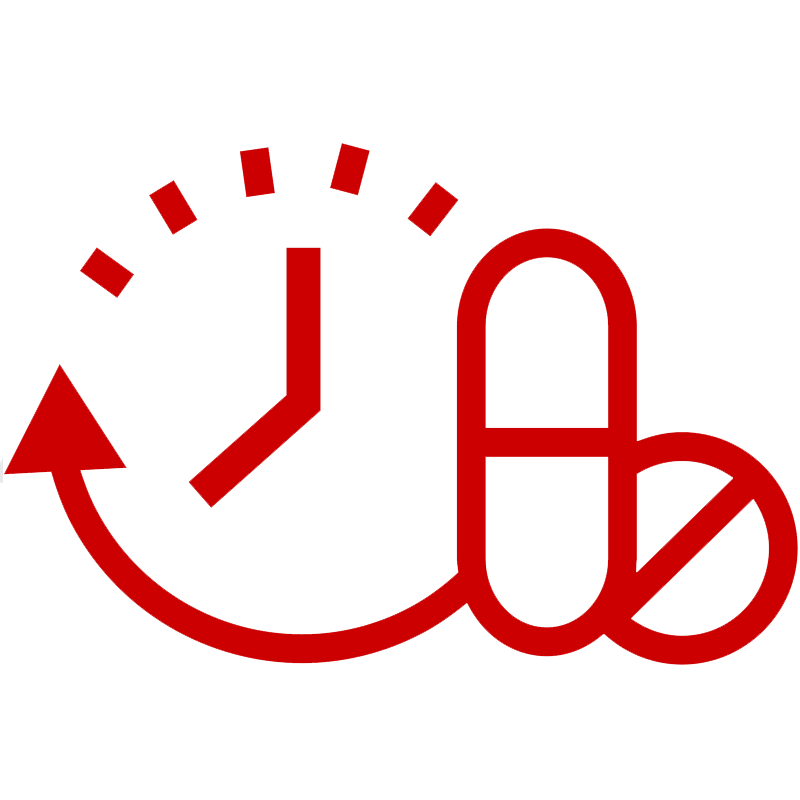 For some, even using auto refill with the retail pharmacy represented some loss of control. Value of personal relationships: Predictably, beneficiaries filling their prescriptions at retail pharmacies often valued the personal interaction with pharmacy staff and correlated that with better customer service. Comments from mail users in our focus groups were very similar to those from beneficiaries who routinely use CVS Caremark Mail Service Pharmacy. In independent surveys, 98 percent of our Medicare mail users indicated they would continue to use the mail pharmacy, with 99 percent satisfied with the condition of their delivered order, 98 percent with order accuracy, and 95 percent with delivery at expected times. 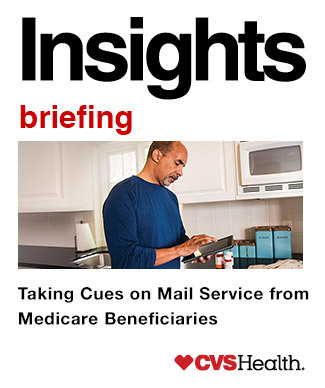 ** These survey scores suggest that significantly more Medicare beneficiaries could become routine mail pharmacy users if they tried the service. Despite these concerns, many retail user participants said they were open to trying mail pharmacy if they had more information regarding the service, including answers to questions like those listed above. Increasing utilization of mail service pharmacy could have several advantages for Medicare plans. Depending on plan design, both beneficiaries and plan sponsors may be able to save on prescriptions for a 90-day supply dispensed by mail. Moreover, like other users of 90-day fills, beneficiaries using mail tend to be more adherent. Multiple studies have shown that better adherence can help enhance health outcomes and reduce overall spend.http://vbidcenter.org/wp-content/uploads/2014/11/Medication-Adherence-Leads-To-Lower-Health-Care-Use-And-Costs-Despite-Increased-Drug-Spending_Health-Affairs_JAN_2011.pdf High satisfaction among CVS Caremark Mail Service Pharmacy users indicates there may be other important advantages: Satisfaction and adherence are important Star measures for Medicare plan sponsors, and satisfied members may be less likely to change plans. In order to help more plans and beneficiaries benefit from these advantages, CVS Health carefully reviewed the insights gained from the focus groups and surveys and applied the findings to the development of a toolkit of communications custom designed to respond to beneficiary concerns and questions. Content includes emails, web banners, a video, and templates for printing. Messaging addresses savings, safety and convenience with options for personalization, such as a list of prescriptions eligible for mail pharmacy. The toolkit also introduces our digital tools for easy prescription management. Research shows that a majority of Medicare beneficiaries access information online and are familiar with using online tools. *** Toolkit materials incorporate our learnings from research with other members: keep it simple, provide clear next steps, focus on member benefits and advantages. Insights from these focus groups also reinforced our commitment to make starting a prescription through the mail pharmacy as easy as possible. If beneficiaries want to transfer a prescription, all they need to do is contact us. We contact the physician to change the prescription to a 90-day supply dispensed through the mail pharmacy. From this research, as well as our other research into member engagement, we know that times of transition are particularly important and impactful for members. That’s why we encourage our payor clients to be sure to deploy toolkit materials at the beginning of a plan year. We also recommend that plans include mail pharmacy messaging throughout the year in member newsletters and mailings and on their website. Keeping mail pharmacy top of mind helps beneficiaries recognize — and remember — it as an option and a desirable solution. From our focus groups and utilization data, we know that not every beneficiary is a candidate for mail pharmacy. Mail may not be the best fit for people with more complex conditions or those who rely on their pharmacist for help in managing their therapy. But many beneficiaries are highly satisfied with CVS Caremark Mail Service Pharmacy and find it convenient, reliable and cost effective. In our survey of CVS Caremark Mail Service Pharmacy users, 98 percent of current mail pharmacy users planned to continue to receive their prescriptions through the mail. Encouraging mail service trial could be a win for plans and beneficiaries both. *CVS Health data, based on Medicare members taking at least one maintenance medication, unique prescriptions at the GPI4 level. **CVS Caremark Mail Tracking Survey, 2016. ***Tech Adoption Climbs Among Older Adults, Pew Research Center, May 2017. CVS Health complies with all CMS rules and guidelines concerning the Medicare Part D drug benefit. Unless otherwise noted, all data from CVS Health.